Hi Jeff, Thanks for the calendar, I've put it up over my computer as a cheerful reminder of better weather to come. We hope you and your family are well this winter and that you all enjoyed the holidays. We are certainly enjoying our new fireplace and even had a few nice fires when the weater was a little warmer a few weeks ago. It certainly is a wonderful addition to our backyard and we are glad we did it. The drywell has been a blessing - no problems at all and we are very greatful! As I have said before, please feel free to use us as a reference whenever you need. We wish you all the best in this new year and hope your new business has great success. I had the good fortune of finding FX Design Team after a long search for a contractor to repair my pool waterfall. We had not been able to use the waterfall for two years due to a leak that we later found out was due to poor original design and workmanship. There are several basic elements that make a good contractor: - Expertise in the field - High quality work - Effective communication - Adherence to the agreed schedule - Prioritizes customer satisfaction - Fair pricing Jeffrey and his staff get ultra-high marks in every one of these areas!! The waterfall was dismantled and rebuilt the correct way in a matter of a few days. 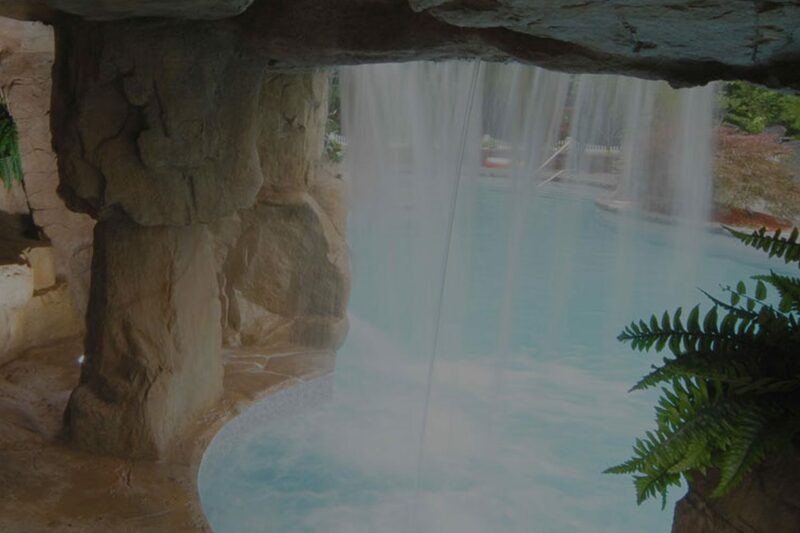 Furthermore, the team was so respectful of our property – when they left each night you could hardly tell work was being done in the yard We are so please with the work FX Design Team performed on our waterfall! In fact, we later engaged FX Design Team to design and install a decorative lighting system for the front of the house. Jeffrey exceeded our expectations with that job as well when he completed the installation of the lighting system ahead of schedule so it would be operational before a large holiday gathering at our home. We are big fans of FX Design Team and are happy to provide this review for such a great team! We wanted to tell you how much we love it! This addition has added so much to our outdoor living space and extended the season beyond closing the pool. It is very nice to sit by a roaring fire on a chilly evening and we have used it more than we even expected to. You did a superb job, and, like all the other projects you have so skillfully completed, we know it will be enjoyed for years to come. As always, it was a pleasure to have you and your team working at our home. You always deliver a finished product that well exceeds our already high expectations. Your keen eye for design, meticulous attention to every detail, and expert knowledge and workmanship create very satisfied and happy repeat customers. On behalf of everyone involved with the Mount Sinai Heritage Trust, I would like to thank you for your generous donations of time and service to the Heritage Center grounds. the waterfall you donated through the Ponds for Kids Program is a stunning addition to the center. The beauty of this Aquascape not only intrigues park guests, but is a constant reminder that your program is teaching children about respect and appreciation for green living and the environment. Your altruistic concern and readiness to give to our not-for-profit, The Heritage Trust, allows us to develop the Park and the Heritage Center to be a jewel for everyone in our community-a wonderful place where our neighbors and their families can create fond memories. We are so appreciative for your thoughtfulness and care for our organization. Thank you again! We want to take this time to highly commend you and all your dedicated, hard-working employees. From start to completion, you gave 100%, always keeping our expectations as the major goal. Your professionalism, courtesy and the neat manner in which you worked did not go unnoticed. You have a winning team! As always, it was a pleasure to have you and your team working at our home. You always deliver a finished product that well exceeds our already high expectations. Your keen eye for design, meticulous attention to every detail, and expert knowledge and workmanship create very satisfied and happy repeat customers. We are so please with the work FX Design Team performed on our waterfall! In fact, we later engaged FX Design Team to design and install a decorative lighting system for the front of the house. Jeffrey exceeded our expectations with that job as well when he completed the installation of the lighting system ahead of schedule so it would be operational before a large holiday gathering at our home. Jeff was hired to reconstruct a waterfall in the front of my house.. I was very apprehensive due to a bad contractor... Jeff took the time to go over all details of the project and was very professional.... The work was high quality and we have made a new friend in Jeff besides the work completed. I would definitely recommend him. Jeff Ingrassia from FX Design Team did an awesome job with our slide. He worked in a waterfall and a beautiful stone wall as well. We are extremely pleased and will be recommending him as well. We hope you can take a few minutes to review our craftsmanship, and find ways we can improve. Our team would like to take this time to thank you again for using us to embrace your lifestyle. Have you been able to benefit from our referral program? $250 value for any referrals which we install services for. Redeemable on next project or visa gift card.